For the Ferret50 info page, click here. 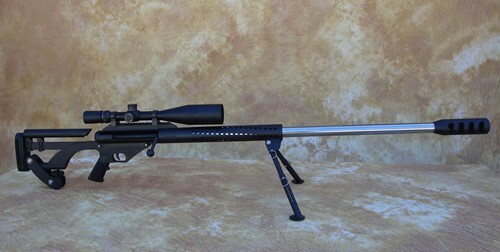 2010 36" Supercomp Rifle with custom finish. Are accuracy and quality important to you? The Ferret50 will give you a lifetime of service with amazing accuracy, right out of the box. This is because we care to do better than the rest. And while anyone can say that, we provide proof. Click here and scroll down to see stats from Ferret50 customers at 1000yd competitions. So you can spend a little now and cry later or spend a little more now and make your competition cry forever. 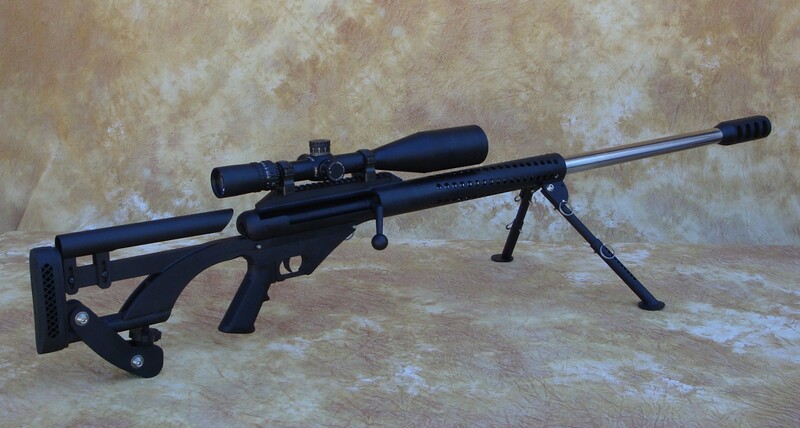 2014 Supercomp Ferret50 Rifle with 32" Supermatch Stainless Barrel. Please call for CA$H discount. To place your order, info@ferret50.com. .510 DTC available for our California customers. Choose any barrel length from 18" to 36". Common lengths are 24" 29" 32" 36". Click on an image to open a new window of the upper gallery. Click on the image to view this gallery. We accept Visa, Mastercard, checks, and money orders. A 50% deposit will secure your spot on the production run, or contact us to arrange a payment plan. Paying by cash, check or money order; please call for cash discount. We produce our uppers and lowers in batches we call "production runs". Each production run takes about 6 months to complete. At the time of order we will inform you of our schedule and when we estimate the production run to be completed. Due to delays out of our control such as material supply and work done outside of our shop (heat treat, barrels, etc) we do not promise when a run will be completed and your order delivered. However, we do all that we can to follow our own schedule. The bottom line is that we will deliver a superior product, even if delayed, before we will cut corners on quality. Florida residents please add the appropriate sales tax for your county. No FFL required for uppers. 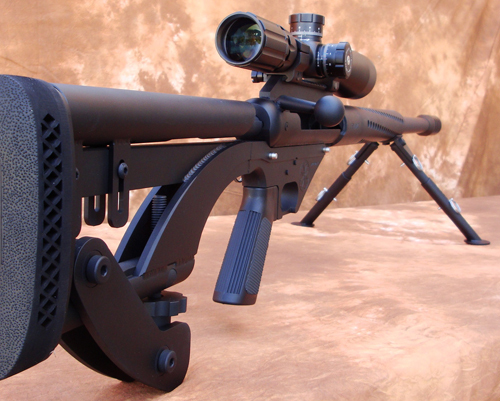 Lowers and complete rifles must ship to a FFL. All BATFE rules apply. Or Email us at info@ferret50.com and we will call you for your order. The Ferret50 is guaranteed against manufacturer defects for life. If there is ever a problem with your Ferret50, immediately contact us and we will work with you to correct the problem. We do not allow cancellation of orders and refunds on deposits. © Copyright 2001-2019 Spider Firearms. All rights reserved.